Mary Eileen (Reimer) Schwab, left the darkness of this world and entered the light of the heavens on August 13, 2018. She was born on February 19, 1923 to George and Helen (Metzger) Reimer. 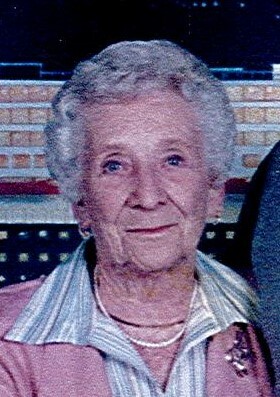 She was preceded in death by her husband Maurice H. Schwab Sr. in October 2009. She leaves behind her children: Rev. Steven C. Schwab of Indianapolis, Nancy and Arthur Timpe Jr. of Indianapolis, Carol and David D’Amora of New Haven, CT, (Maurice H.) Hank and Luciane (Horton) Schwab Jr. of Beijing, China, Theodore Schwab of Playa del Rey, CA, and Robert Schwab of Whitmore Lake, MI. Fifteen grandchildren, Arthur J. and Jennifer (Koluder) Timpe III, Lori (Timpe) Herrera, Gary and Tricia (Meyers) Timpe, Sharon (Timpe) and Matt Tebbe, Edward and Prarthana (Mohan) Timpe, Heather, Rachel, Tim and Stephanie D’Amora, Athena Moore, Melanie, Pamela, Gregory, Patrick, and Eileen Schwab. Three step-grandchildren, Caroline, John and Matthew Horton. Fifteen great-grandchildren, Grace, Margaret, Sally, Elyse, Ethan and Cyrus Timpe, Jackson, and Nicholas Herrera, Deacon and Celeste Tebbe, Angeline Moul, Michael Stetson, Elaina DeSenti, Madyson and Allyson Ervin. Mom was a former member of Sacred Heart, St. Roch and St. Thomas Aquinas parishes in Indianapolis and St. Catherine’s of Sebring, FL. A mass will be celebrated at 11 a.m. on Saturday, September 29, 2018 at Sacred Heart Catholic Church, 1530 S. Union St. in Indianapolis. The family will receive friends beginning at 10 a.m.